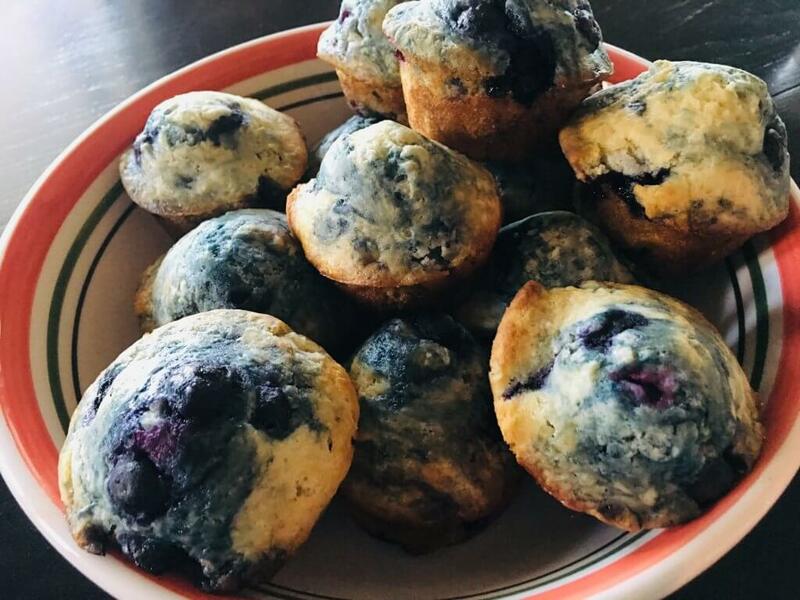 When I get up early on Sunday mornings and make homemade blueberry muffins for my family, I basically feel like I’m winning at life. 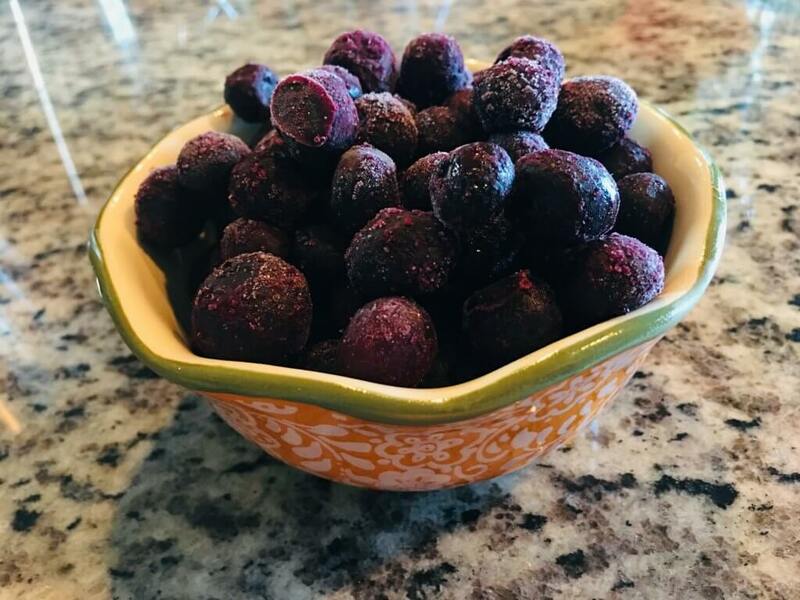 This recipe is quick and easy which means you have time to whip some up and win at life today too! 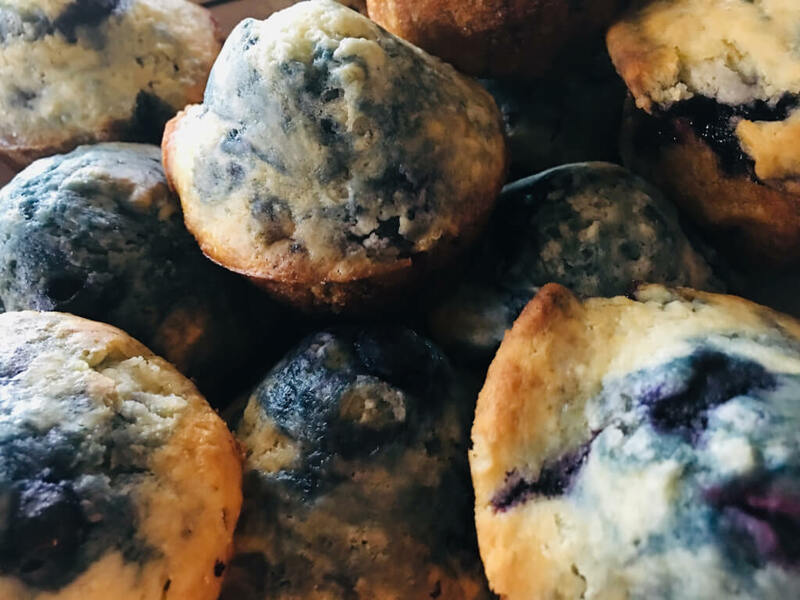 Easy and delicious blueberry muffins come together in a few minutes, bake for 25 and have you smiling in under an hour! 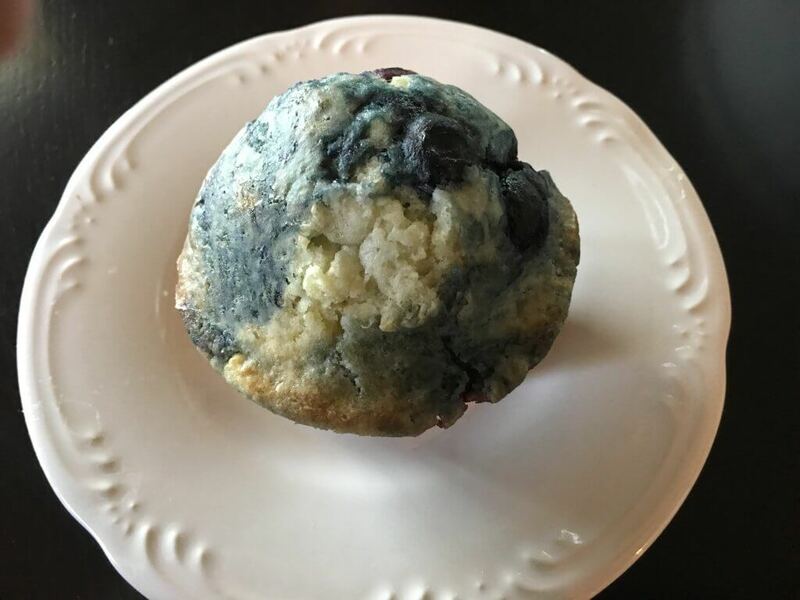 For this blueberry muffin recipe, you need a bowl, a spoon, the usual pantry fixings and some fresh or frozen blueberries which I always keep on hand for smoothies and blueberry sauce. And coffee, you need coffee. Pretty plants are optional but handy for adding to the #winningatlife mirage. 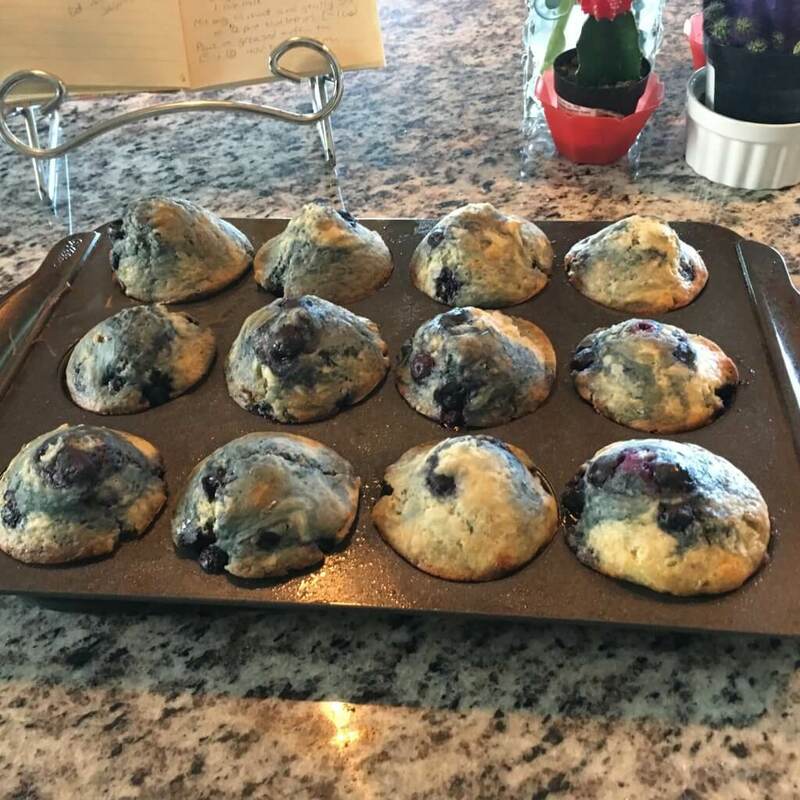 I don’t think I’ve ever made this recipe with fresh blueberries because I never seem to have them. Frozen are perfectly fine! 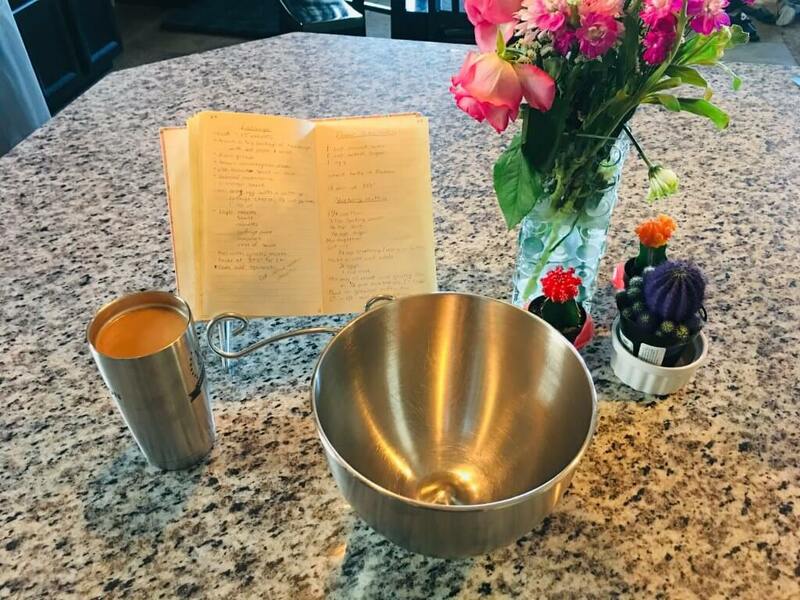 I used my Kitchenaid bowl but not the mixer. 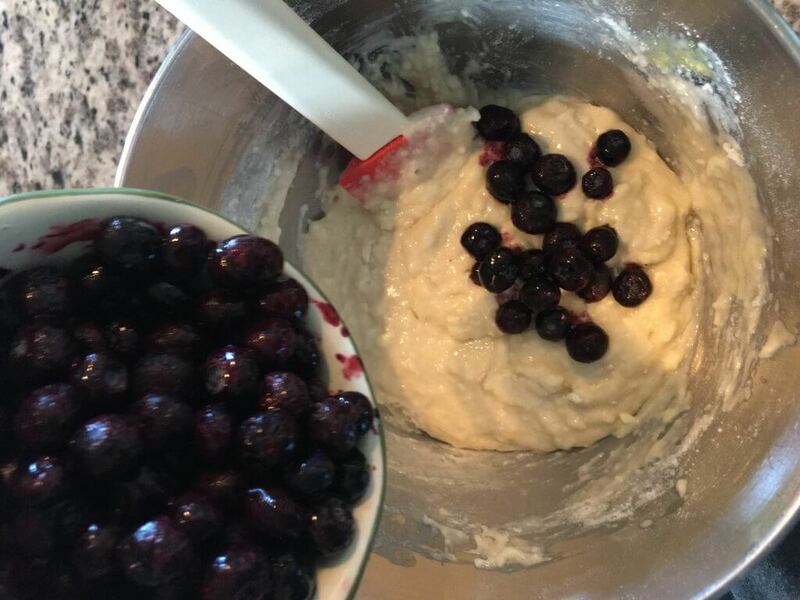 You can do everything by hand for this recipe just like Ma Ingalls. 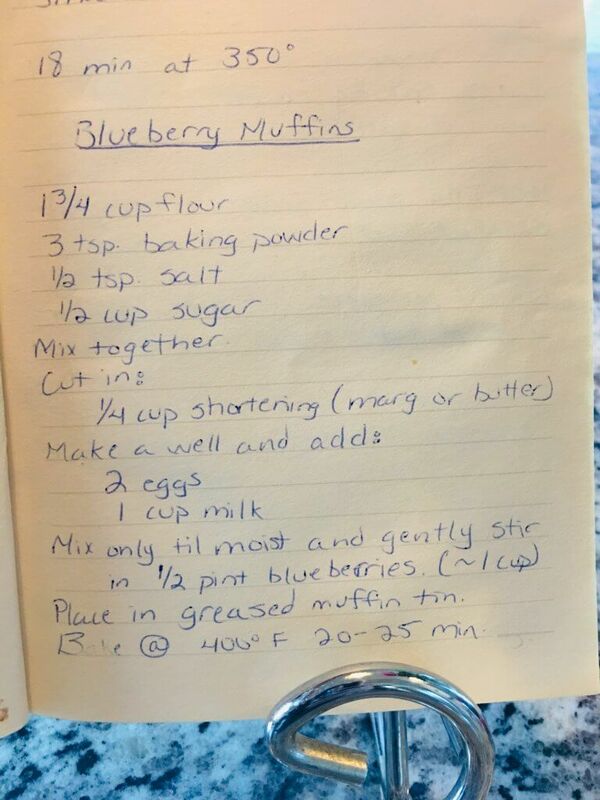 This recipe was a lifesaver back in my twenties BK (Before Kids) when I was so broke, I made a lot of things from scratch and made do with what I had. I did not even have a pastry blender so I just used two knives to cut my butter in. 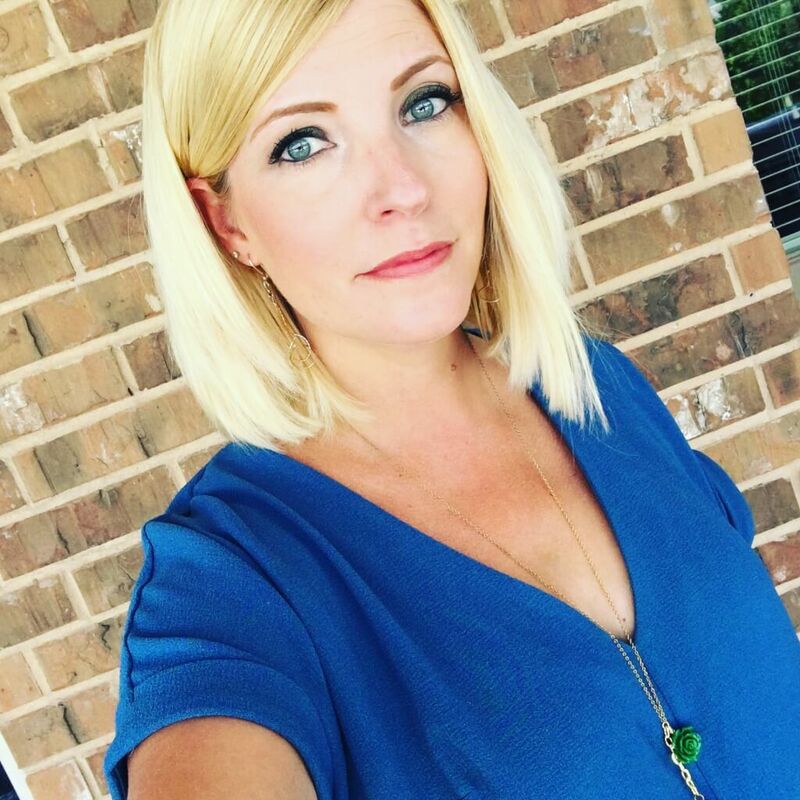 Who doesn’t love a good before and after?! After! Mmmmmmm! Can’t you just smell them?! 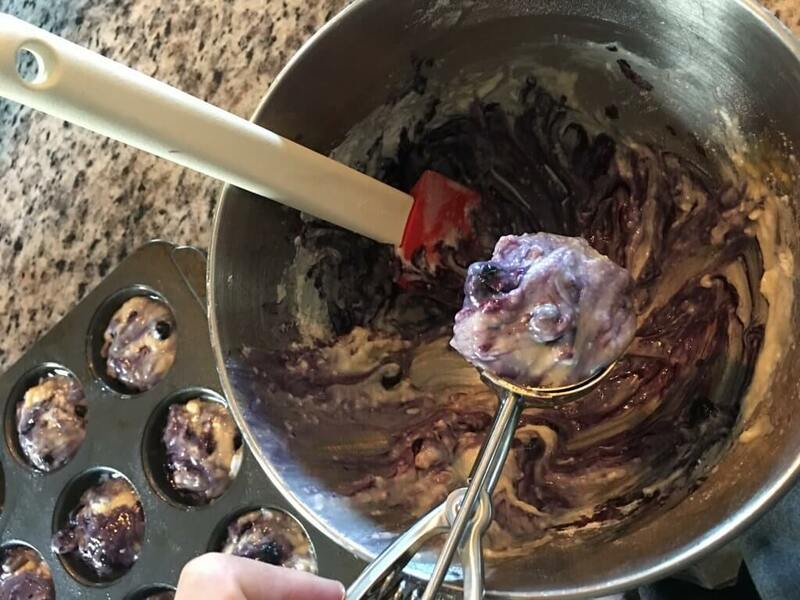 Now go forth and make Sunday morning Blueberry Muffins! In 45 minutes, you’ll be sipping your coffee with a hot buttery muffin in hand and winning attitude in heart. 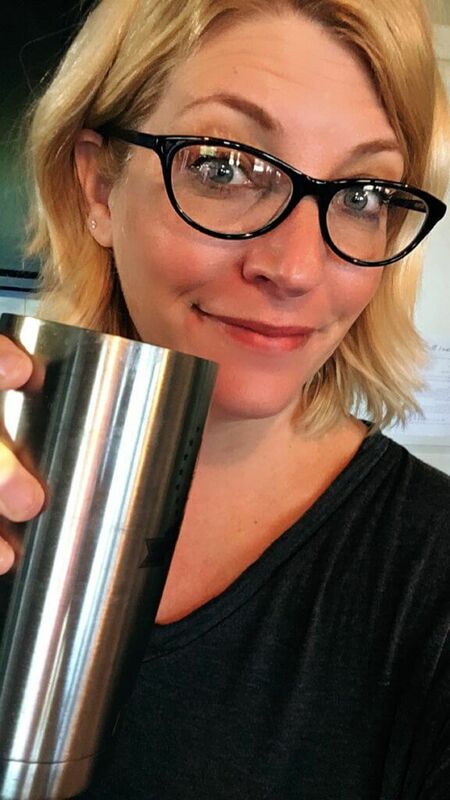 Coffee cheers to being excellent mothers, muffins or not. 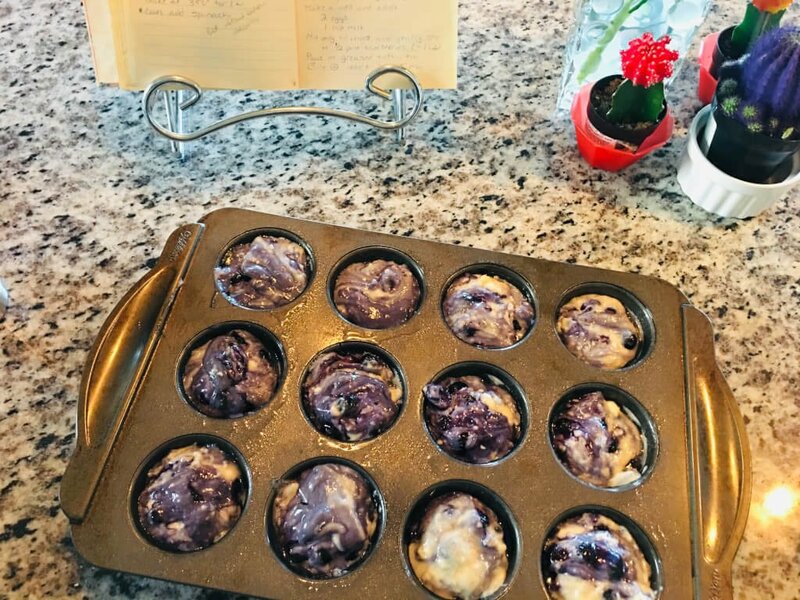 Fast and easy blueberry muffins made with fresh or frozen blueberries will make you feel like you're winning Sunday mornings! 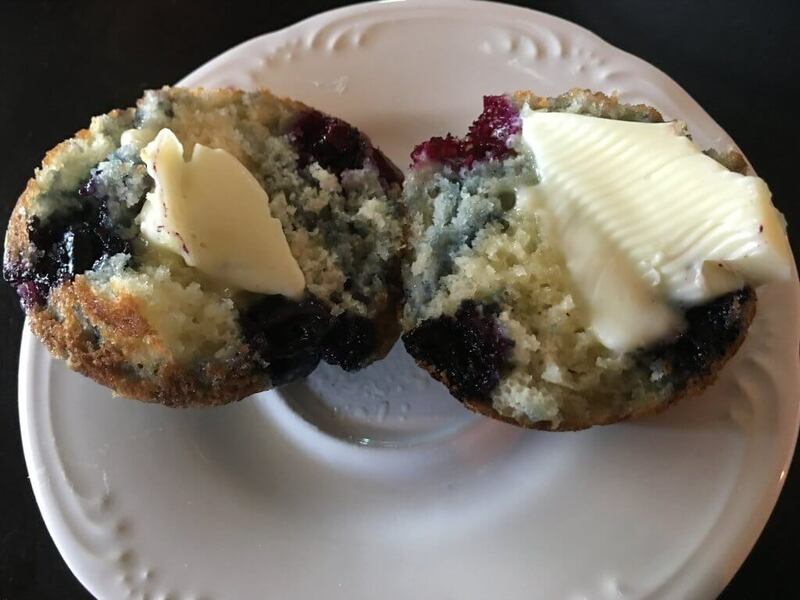 Place batter in a greased muffin tin. Bake at 400 degrees for 20-25 minutes till golden brown.